Kyle enjoys the challenge of looking at the big picture and combining all the working pieces into a clear strategy that helps his clients clarify the path to their financial goals. With the support of the strong and diverse team at Renaissance Financial, he is able to offer a wide variety of skills and financial tools that help customize a strategy to fit his client’s unique needs. As a financial advisor, Kyle is able to help people from all walks of life. He works with young professionals, assisting them as they balance their long-term financial goals with their immediate daily decisions. He assists families by creating financial and insurance strategies necessary to help them meet their financial needs, while providing the protection allowing them to rest easy about their future. Finally, the love of his practice comes from developing retirement strategies for mature couples as they prepare to enter their golden years. Kyle earned his bachelor’s degree in business administration at Southeast Missouri State University, graduating with honors. He remains involved as a supportive alumnus for both the university, as well as his fraternity, Pi Kappa Alpha. 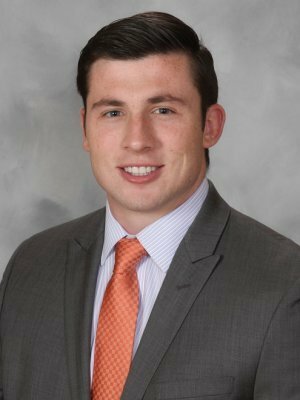 Kyle is an active member with the Missouri Athletic Club, as a member of their Associate Board, Governance Committee, and as a supporter of Foundations Charity. Kyle has gone on to receive his Life, Accident, and Health Insurance Agent license, as well as FINRA Series 7 and 66 registrations. He currently lives in St. Louis with his fiancé, Alyssa, and their dog, Coco. In his free time, Kyle enjoys playing golf, spending time with family and friends, and traveling.